Andrey is an experienced game industry producer and entrepreneur. He has done numerous PC gaming titles well known on US and European markets. He was the one who has successfully started first world class MMOG business service in all russian speaking territories – Akella Online. After that he has taken position of business development director at IT Territory company and participated in creation of Astrum Online Entertainment as head of publishing department. 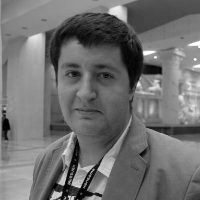 These days Andrey is leading KeiTaiToys, Odessa based mobile games and software development company.